Includes pull-out door attached to waste containment system. 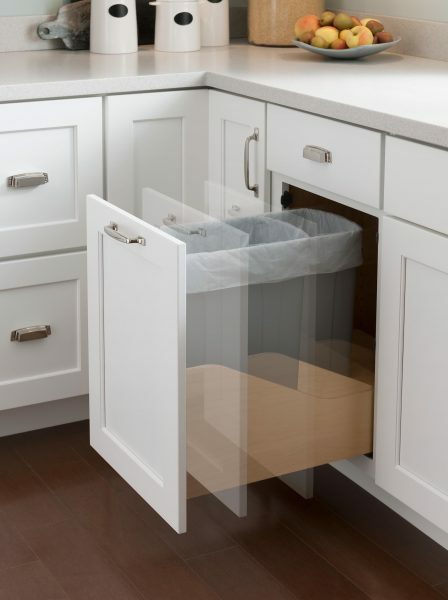 Scooped drawer box of waste containment system includes plywood deck with cut-outs for waste baskets; operates on Heavy Duty Smartmotion FX guides. Height modification available; minimum 34 1/2″, maximum 48″. Width, depth, wide stile, clipped corner and peninsula modifications not available.